Regional Capitals Australia (RCA) has today welcomed the release of Australia’s first national population plan released by Prime Minister the Hon Scott Morrison, Minister for Cities and Population the Hon Alan Tudge and Minister for Immigration the Hon David Coleman along with the initiatives to better connect regions as announced by Minister for Regional Services and Decentralisation the Hon Bridget McKenzie. The plan is the first of its kind and aims to decrease the congestion issues in major metropolitan cities while encouraging more people to live in regional areas, including regional cities. 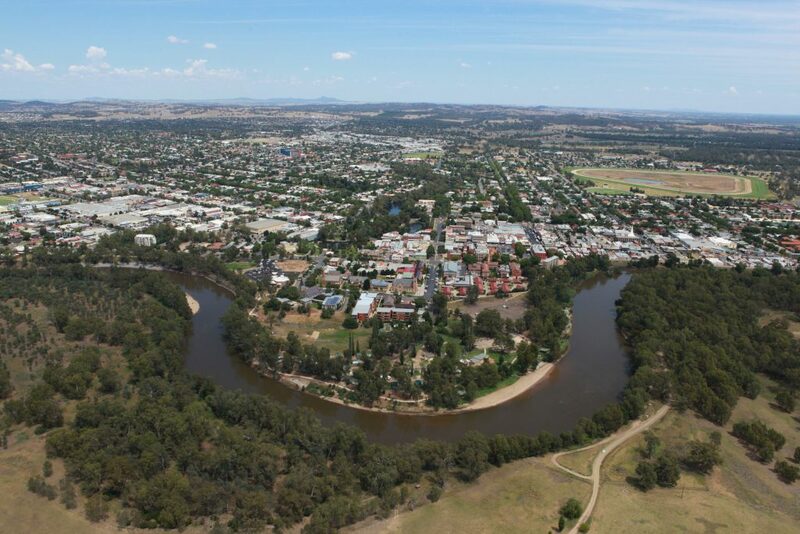 RCA Chair and Mayor of the City of Ballarat, Cr Samantha McIntosh, said a national population plan and commitment to better connect regional cities was absolutely necessary to ensure the many benefits of a growing Australia were shared throughout the country. “Allowing Melbourne and Sydney to continue to be challenged with crippling growth at the expense of the prosperity of the rest of the country is madness,” Cr McIntosh said. “All of our member regional cities have a growth agenda because our cities are crying out for skilled workers to support our growing industries and fill more than 47,000 jobs which are vacant in regional Australia,” Cr McIntosh said. “We also know that more people in our cities increases diversity and maintains services and infrastructure that allow our economies to thrive so we can continue to be important regional service centres,” Cr McIntosh said. Reducing the migration cap from 190,000 to 160,000 places. Providing up to 4,720 scholarships, for both domestic and international students, of up to $15,000 each year to study at a regional campus of a university or vocational education training provider. Population management as a fixture of future Council of Australian Governments (COAG) discussions with the adoption of a bottom-up approach. Continuing to deliver new City Deals and Regional Dealsto ensure three levels of government working together. Social Cohesion:We will also build on the work our government is doing to support grassroots initiatives that foster belonging and break down barriers to social and economic participation. A digital tech hub to improve digital literacy. In the lead-up to the Federal Budget and 2019 election, RCA has been actively advocating for regional deals, better connections, support for strengthening regional universities and policy settings which would grow regional cities. “Regional Deals will be a significant investment and profile for our cities, they essentially bring together the three levels of government, the business sector and community to agree on what the region needs by way of infrastructure, education, jobs and liveability,” Cr McIntosh said. “Support for increasing student numbers at regional universities will strengthen these regional institutions, this counts because we need more diversity and skilled workers in our regions and educational attainment in regions is much lower than the rest of the country,” Cr McIntosh said. “Better regional transport and digital connectivity is imperative for overcoming the tyranny of distance so faster rail, better roads, more flights and high levels of mobile and broadband connection will make our cities every bit as competitive for investment as the big capitals,” Cr McIntosh said. The benefit of people moving to a regional city was also recently confirmed by the Regional Australia Institute who found that while the average incomes of workers living in regional cities and the outer suburbs of major metropolitan cities in Australia are similar, their commute times and property prices are significantly more. The Regional Australia Institute has also found that for every 100,000 people who choose to live in a regional city instead of one of the five big cities, $50 billion will be released into the national economy over 30 years in reduced congestion costs alone. “Of course there are many benefits for those who want to join the 400,000 people who have already left a capital city and moved to a regional area in the past four years,” Cr McIntosh said. “The average price of a house in our member regional cities is $380,000, we have no congestion and being 10-minute cities you can get to your job, school or social activities in the time it would take you to move between a set of traffic lights on a good day in Melbourne or Sydney – who doesn’t want to live like that,” Cr McIntosh said. “Today’s announcement will see a better distribution of the growth around the country and this is good for everyone – growing regional cities have a very important role to play in a big Australia,” Cr McIntosh said. “Regional Capitals Australia commends Prime Minister Morrison, Minister Tudge, Minister Coleman and Minister McKenzie on this important policy and stands ready to work with them on to build a stronger more sustainable nation for the benefit of all Australians,” Cr McIntosh concluded.